Escape from the everyday life to the Sandy Beaches of an enchanting island where the dolphins & wildlife play. You will find yourself in a world of your own here at Pointe South. Come on down and pay us a visit. We have the friendliest neighbors and management on the beach! 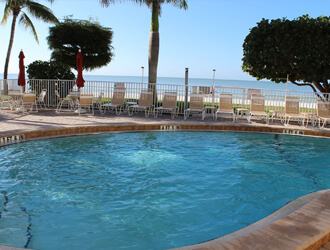 Go for a swim in our heated community pool. 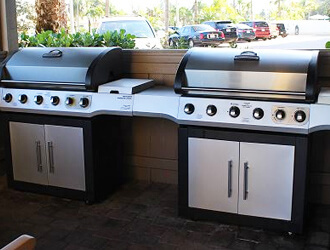 Grill with friends in our on-site BBQ area! 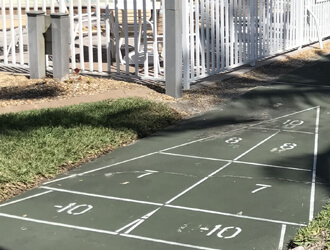 Challenge your family to a game of shuffleboard. 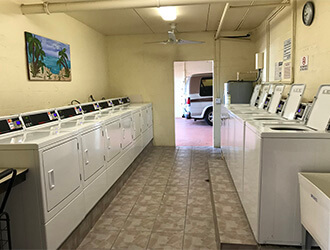 With our on-site laundry room you'll never leave! 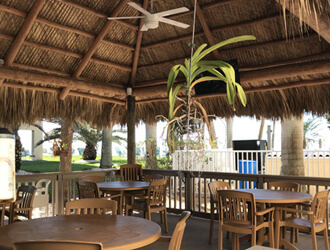 Our tiki hut has lots of tables and a large TV.